Manchester United have had a stuttering season. On one hand, they have won the League Cup and are the favorites to win the UEFA Europa League. They have been solid at the back, conceding the lowest number of goals amongst European teams. Manchester United are on the longest run of unbeaten games among teams in Europe’s top five leagues(they haven’t lost in their last 23 encounters in the Premier League) and are on their longest unbeaten run at home(26 games). On the other hand they have created the most number of chances in the Premier League so far this season but converted very few, as they have scored the least number of goals among the top seven teams in the league (48, with Everton, the nearest competitor being 12 goals ahead). This puts their Champions League hopes for next season in jeopardy. 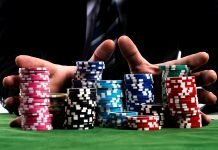 They have, as Jose Mourinho put it, “failed to kill games” on numerous occasions, as is evidenced by the fact that they have drawn 12 games in the Premier League despite spending nearly £150 million in the summer. 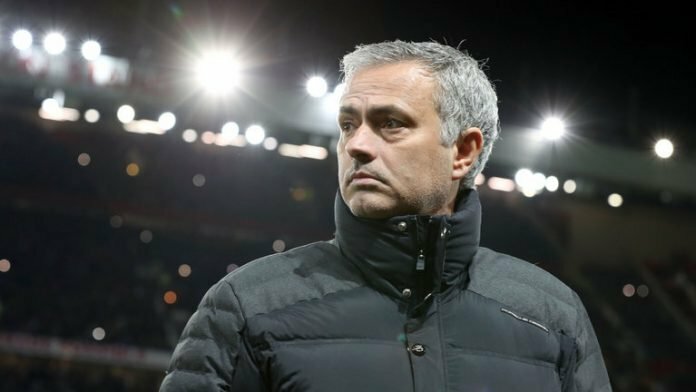 One of the major problems that has continued to plague Mourinho’s side is the number of players being sidelined due to injuries. 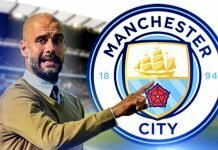 Injuries to key players at such a critical point in the season when United have packed schedule (they play Manchester City, Arsenal Tottenham Hotspurs and two Europa League semi-final matches against Celta Vigo between 28th April and 14th May) could prove extremely troublesome, to say the least. Zlatan Ibrahimovic and Marcos Rojo were added to the list injured players, consisting Juan Mata, Chris Smalling and Phil Jones, after United’s 2-1 win over Anderlecht in the Europa League quarter-final win on Thursday. How grave could be the impact of the unavailability of these players? 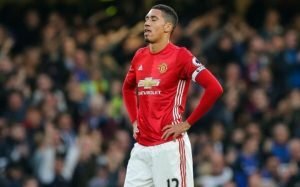 Chris Smalling had established himself as the first-choice centre-back after a string of impressive performances under Louis van Gaal and due to the fact that other defenders weren’t up-to the mark back then. He continued his form under Mourinho, giving some good performances at the start of the season. But he suffered a toe injury in October and was out for a couple of months. Though he returned in January 2017, he hasn’t been able to replicate his earlier form and again got sidelined during the international break in March end. Marcos Rojo has been one of the best players for Manchester United this season. He is, without doubt, the most improved among the players Mourinho inherited from van Gaal. The Argentine defender rose to the occasion when his club was short of defensive options. 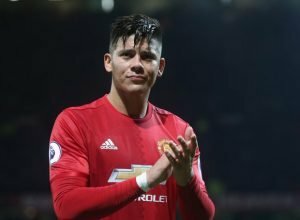 From being touted as one of the first players to be sold if there was clear-out, Rojo is now a player who could give Mourinho a defensive dilemma, if other defenders were available as well. Juan Mata has been ruled out for the rest of the season after undergoing a groin surgery in the second week of April. 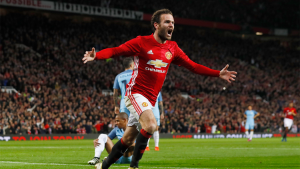 Though widely considered the first player to leave Old Trafford when Mourinho was appointed as Manchester United manager due their history at Chelsea, Mata has featured regularly under Mourinho and seems nowhere near a departure from Manchester. Since coming to England in 2011, Mata has been involved in 86 goals, scoring 44 and assisting 42 and has been United’s second best goal-scorer in the last three years(after Wayne Rooney). While the Red Devils don’t have shortage of attacking midfielders, the wily Spaniard’s intelligent game-play will surely be missed. The greatest setback suffered by Manchester United is due to the absence of Zlatan Ibrahimovic. 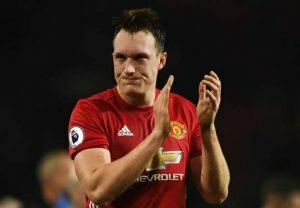 The 35-year-old Swede has been the most valuable player for Mourinho, scoring 27 goals so far this season.Without him, Manchester United would be in the doldrums. He has barely been in a game in which he hasn’t completed 90 minutes, which proves how reliable he would have been heading into the packed schedule. 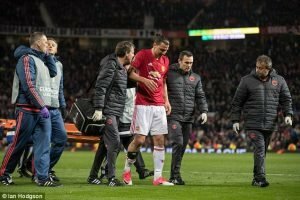 Also, making matters worse is the fact that if Ibrahimovic ruptured the cruciate ligament in his right knee, he could be out for the rest of the year, dealing a huge blow to United’s hopes of winning the Europa League, getting a place in the top four and extending his stay at Old Trafford. 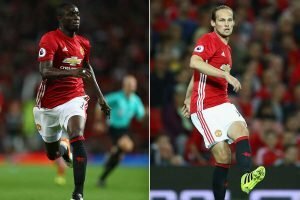 With three Premier League matches lined up in a space of seven days, United’s push for a place in the top four is already under stress as they have just two first-team centre-backs available- Eric Bailly, who has played six games in a row, and Daley Blind. 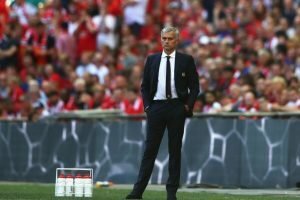 Mourinho admitted in his recent press conference that Reserves Captain, Axel Tuanzebe, may be called up to strengthen United’s depleted back-line. 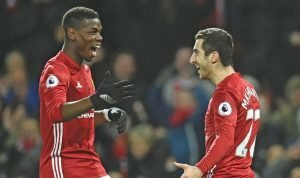 As for Juan Mata’s absence, United have Henrikh Mkhitaryan, Paul Pogba and Wayne Rooney who can cover for him. 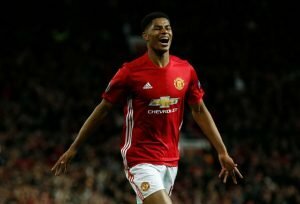 Marcus Rashford is set to lead United’s attack in what is the most vital period for them this season. Anthony Martial and Wayne Rooney will have to shoulder the pressure of Ibrahimovic’s unavailability.